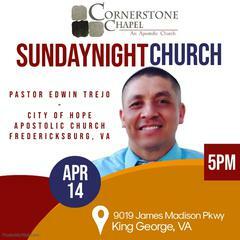 Cornerstone Chapel - What to Expect! When you arrive at Cornerstone Chapel, you will be engulfed in the love and friendship of God's people. 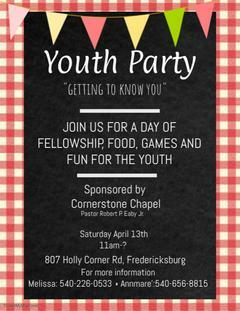 You will meet people that are actively involved in impacting our community with the gospel of Jesus Christ through children's ministry, community Bible studies and Sunday school. We also have active ministries in a nursing home and jail. We begin our service with Sunday school for all ages. Our classes are interactive, relevant and educational. It is our desire to help everyone to plant roots deep in the scripture and to find God's purpose for their life. Our services conclude with a short sermon and an opportunity for everyone to receive salvation. This is the pinnacle of our service because there are many people within our community that need a relationship with Jesus. 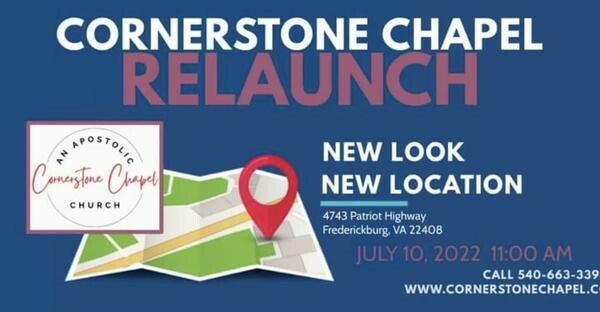 If you would like to talk to Pastor Eaby more about Cornerstone Chapel and what to expect when you arrive, please contact him at 540.663.3398.